When you wake up in the morning, what is the very first thing you do? Personally, I reach for my iPhone. Before rolling over to kiss my boyfriend (or even check to see if he’s alive), I roll the other way to scroll through my device and see what I’ve missed during my hours of unconsciousness. This is also the very last thing I do before falling asleep at night. Once I woke up to my alarm and was literally cradling my phone like a teddy bear. Trust me—I am not proud of this. Instinctively I know this technology dependence can’t be healthy. I’m also familiar with the research showing that blue light, which is emitted from phone and computer screens, can disrupt the release of melatonin, our bodies’ sleep-regulating chemical. But what’s both comforting and disturbing is that I am hardly in the minority. Sadly, I fall squarely into this category. But there’s nothing I hate more than fitting a stereotype—and there’s nothing I love more than sleeping—so last week I decided to quit my bedroom iPhone addiction cold turkey. For five days, I made my boudoir off-limits to cell phones and laptops to see what sort of effects it would have on my well-being. To see how eliminating technology from your bedroom can improve your life, read on. Most of us identify either as a “night owl” or an “early bird,” but as someone who climbs into bed at 10:30 p.m. and wakes up 10 hours later, I fall in neither category. That is to say I like to fall asleep early and get up late. It’s a wonder why I’m still so tired all the time. Typically I fall asleep with my iPhone on my bedside table, plugged in no more than six inches from my head. For this five-day experiment, I left my phone in the living room, close enough that I could still hear the 8 a.m. alarm (which I normally sleep through anyway). What I never recognised until banning my iPhone from the bedroom is that I don’t go to bed as early as I thought I did. Sure, I tuck myself in before 11 p.m., but for the first time, I realised that I spend at least an hour in bed each night catching up on emails, scrolling through Instagram, and watching YouTube videos. Even if my body is exhausted, I can’t resist. Normally I don’t put my phone away until after midnight. According to Gazzaley, research shows that having a smartphone in the bedroom at bedtime reduces sleep an average of 54 minutes, which lines right up with my numbers. This deprivation is enough to impair cognitive function, such as sustained attention, memory, creativity, and judgment—all things that are vital to my job as a writer. But with no iPhone to keep my mind wired, I was able to tune into my body and fall asleep according to its needs. Every single night of the experiment, I conked out within 10 minutes of getting in bed. And I didn’t make the connection at the time, but my stories were all written well before their deadlines that week. Recently I’ve had a few experiences where I woke up in the middle of the night, felt my mind start racing, and was unable to fall back asleep. Of course, during these wee hours, I could be found half-consciously scrolling through my phone. Psychologist Larry Rosen, Ph.D. led a study on this subject, revealing that the strongest predictor of poor sleep quality was anxiety about missing out on an important email or text. “This anxiety most likely led to the participants awakening at night to check for messages,” said Rosen. Once again, this description fit me to a tee. Rosen says that according to the National Sleep Foundation, one of the keys to a good night’s sleep is to “keep electronics out of the bedroom and turned off for at least an hour before bedtime.” Before my experiment, I honestly thought I was sleeping about as well as I could hope to. But after making my bedroom iPhone-free, I didn’t shoot awake once during the night. Even though I knew my phone was still blowing up with news and messages, putting it out of sight helped me reduce some of that urgency. It also eliminated any chance of disruptions caused by the screen’s artificial blue light. I’m even less of an early bird than I am a night owl and have been awful at getting out of bed on time for my entire life. I never wake up before my alarm; in fact, I almost always sleep right through it. I only peel myself out of bed once it becomes absolutely necessary to do so. Rosen says that removing your phone from your routine is just as important in the morning as it is at night, and not just because it slows down your progress. “[Removing the phone] will help you awaken slowly and gradually, instead of immediately putting your brain into high alert,” he says. This certainly resonated with me, as waking up to a deluge of emails put a negative spin on my entire day. Waiting 30 minutes until I could wash my face and put on some clothes made no difference to the people on the other end of those emails, but a world of it to me. I’m pretty good about reading on the weekends (currently halfway through Nora Ephron’s I Remember Nothing and Jeffrey Eugenides’s The Virgin Suicides), but my weekday evenings are consumed by technology alone. On my worst nights, you’ll find me watching Netflix on the TV, writing on my computer with one hand while flicking through Instagram on my phone with the other. Again, I’m not proud of this. Ruling out any and all screens from my bedroom, I felt like a kid on a rainy day with the electricity out. What activities could I do without power? I tried to get into the romance of a tech-free bedroom, so I lit a Byredo candle and cracked open my Nora Ephron paperback. This drowsy combination also helped me fall asleep lickety split. So far I’ve all but gushed about the benefits of making your bedroom an iPhone-free zone. And though I stand by them, rest assured it wasn’t an effortless feat. My mornings without a phone really weren’t that bad—like I said, all it did was force me to get my day started at a reasonable hour. But at night, during those 10 minutes before zonking out, I yearned for my phone, like an addict in withdrawal. I’d read a word or fact in my book that I wanted to look into, reach for my phone to Google it, and then feel totally helpless when it wasn’t there. I’d fall asleep wondering what Instagram posts and Facebook messages I was missing. It’d occur to me to reach for my phone at least every two minutes, and several times, I physically did it, like a reflex. All of this made me realize how extreme my relationship with my phone was. Luckily, Rosen says we don’t need to make our bedrooms entirely iPhone-free to get the same benefits, as long as we set some boundaries. “For those who are not able to give up their devices entirely at night … dim your smartphone or tablet’s brightness settings and position that device at least 14 inches from your face, which then reduces the amount of blue light entering the eyes and subsequently has minimal impact on melatonin release,” he says. You can also try downloading the computer program F.lux, which changes the color of your laptop’s screen light to match the time of day, allowing melatonin to release on schedule. But while I’m on a roll, I intend to keep my bedroom iPhone-free. There’s something idyllic about maintaining the bedroom as a sanctuary, about waking up with my head on my significant other’s chest instead of an icy black screen. 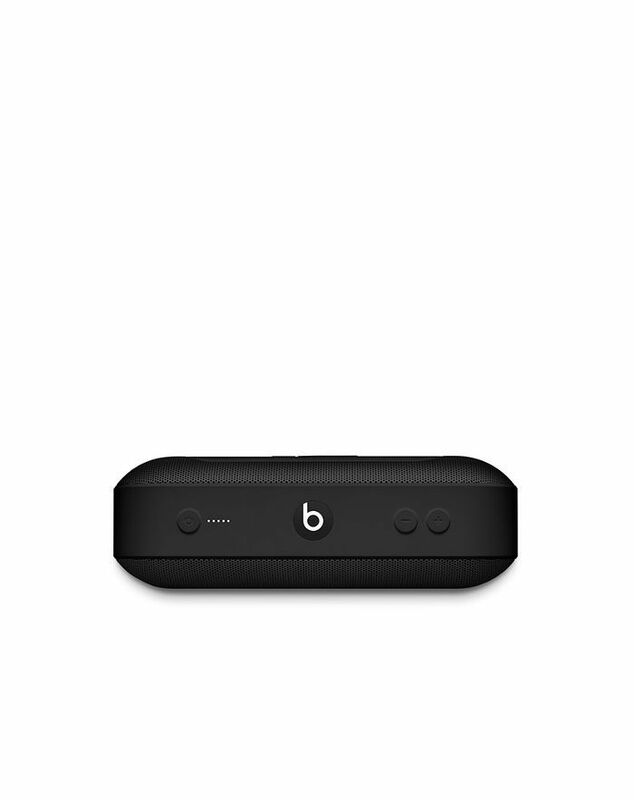 Replace your high-tech devices with these bedside essentials! Another of the National Sleep Foundation’s tips for a good night’s sleep is to "progressively reduce the light in the bedroom at least an hour or more before bedtime to allow maximum release of melatonin.” Get the job done with this touch-sensitive bedside lamp, which has four brightness levels and colors, plus a Bluetooth speaker for playing relaxing tunes. “For many people, the smartphone or tablet serves to reduce boredom as one prepares to go to sleep,” says Rosen. 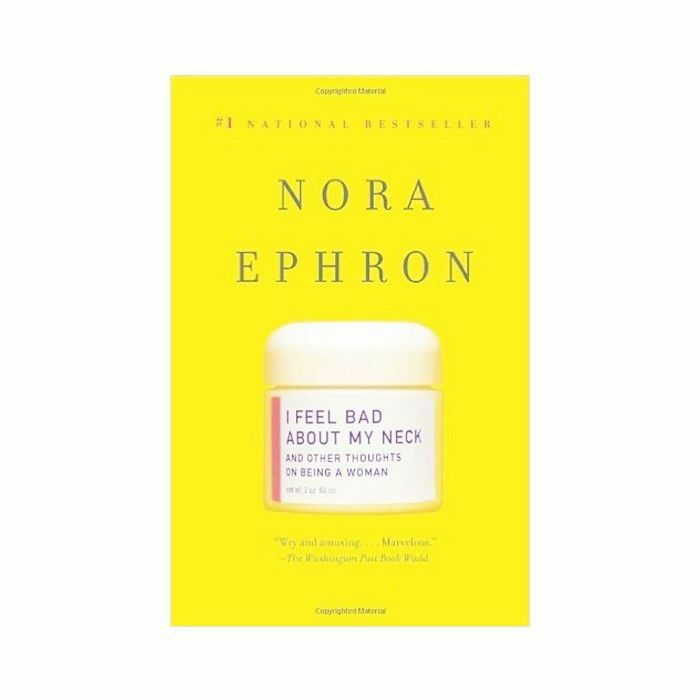 If you want to enhance your sleep environment a bit, opt instead for an easy read, like this clever book of essays by Nora Ephron. 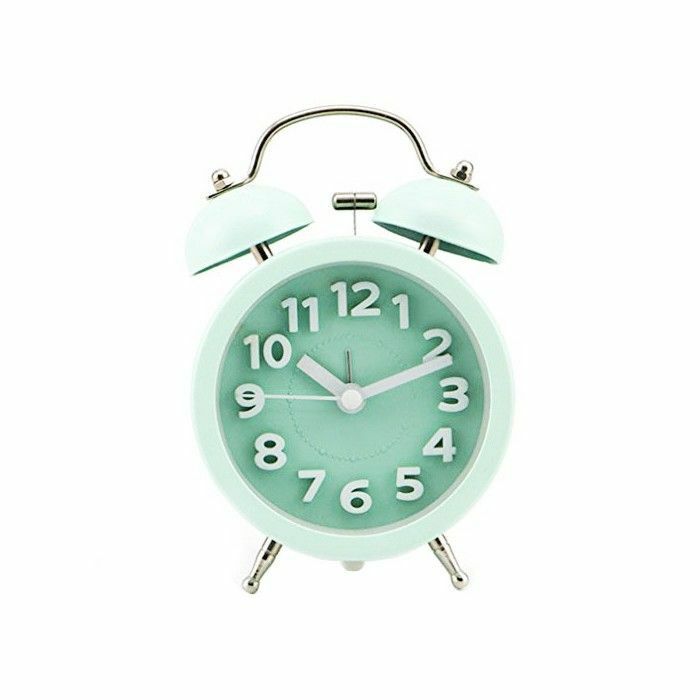 Swap your iPhone alarm for this adorable, vintage-style clock. 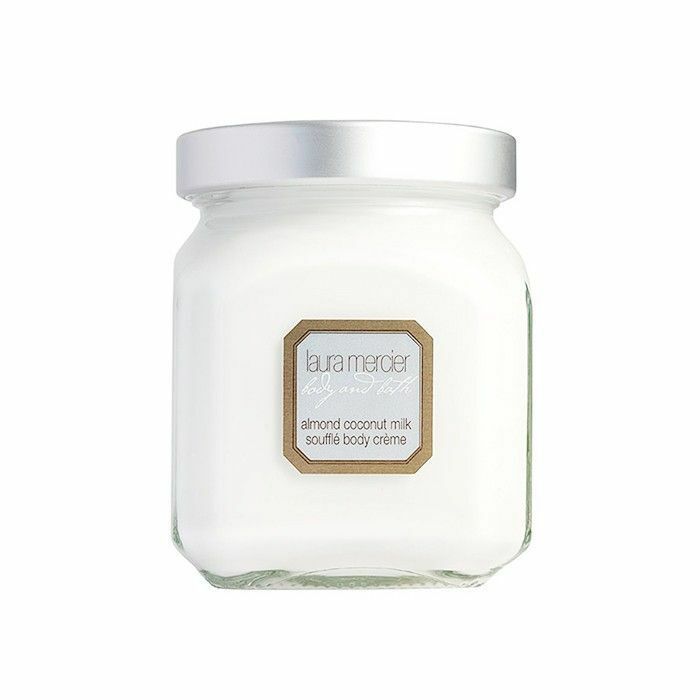 Enhance your tech-free environment with a luxurious candle. 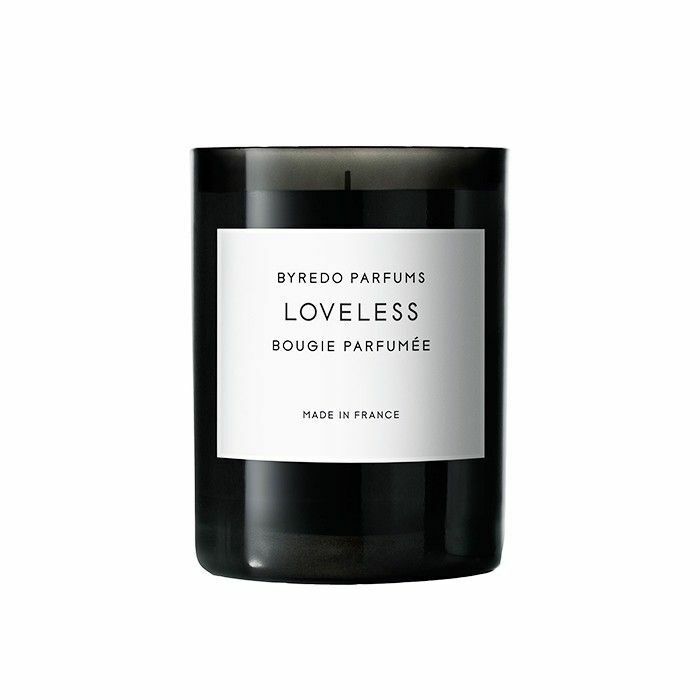 The Byrdie team is obsessed with Byredo’s selection. iPhone or none, my bedside is never without a tub of this decadent body cream, whose soft coconut smell always puts me in a sleepytime mood. Want more sleep advice? Don’t miss our little trick for how to fall asleep in less than a minute.